Whenever I receive a wine club shipment, it feels a lot like my birthday or Christmas. 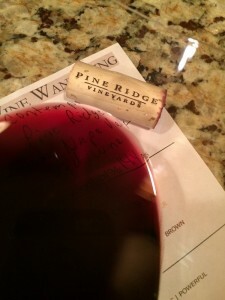 I was thrilled to see a new wine in our November shipment from Pine Ridge Winery. Included in each club shipment is a small booklet filled with the latest news and a greeting from the winemaker Michael Beaulac. 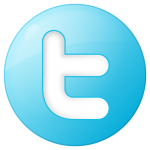 It typically has vineyard updates, the wine collection selection, as well as a few other articles. One article that was of interest to me since I am attending UC Davis for Winemaking was “Putting the muscle in Winemaking, Punch Downs”. Punch downs happen during a red wine fermentation. The “Must” is a red-wine making a term that refers to the soupy mass of squished skins, seeds, and pulp that are fermented together. During fermentation, the must (called the cap) will rise to the top of the tank due to carbon monoxide that is created by the yeast converting the sugars to alcohol. The must contains all of the color, tannin and flavor compounds that are desired in a red wine. It is up to the winemaker (his or her style) to decide how much of the cap will be “Punched Down” back into the fermenting juice. There are no set of rules for punch downs. Basically, the more times you punch down, the more you will extract the phenolics of the cap. There are many methods a winemaker can choose to manage the cap that I will mention. Punch down used by Pine Ridge is a method where the cap is periodically pushed back into the fermenting juice. This is a manual labor intensive process that I imagine might be the most rewarding. The next method is submersed cap. A small screen is used to keep the cap below the surface of the fermenting juice. This method can be problematic with very large tanks as the force of the cap could break due to carbon monoxide that is huge and the screen. Pumping over is a method where the juice is pumped from the bottom of the fermentation tank is pumped on top of the cap. You will see this in a lot of wineries. Again it is the winemakers style that determines how often the cap is pumped over. Rack and return, or “delastage” is like the pump over technique. In this process, instead of pumping the liquid up and over, the liquid is transferred to another tank. The cap is drawn to the bottom while the juice is transferred to the new tank. Finally Rotary Tank. The tanks are rotated horizontal and the must and juice are rotated. One issue with this method is keeping the juice cool. If the juice gets too high you could kill the yeast and stop the fermentation. Medium to deep color with a purple hue. Very aromatic, young-fruity with aromas of cocoa, blueberry, oak and some ethanol. Dry, full-bodied with lively acidity. The tannins were medium and slightly astringent. Rich mid-palate flavors with a long savory finish. Varietal: 59% Petite Verdot, 37% Cabernet Franc, 4% Cabernet Sauvignon. Barrels: 43% new French oak for 18 months. 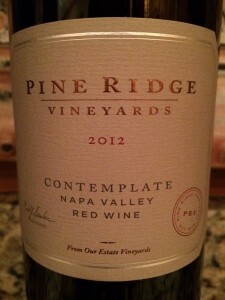 The 2012 Contemplate is a great red blend. I rated it four glasses.